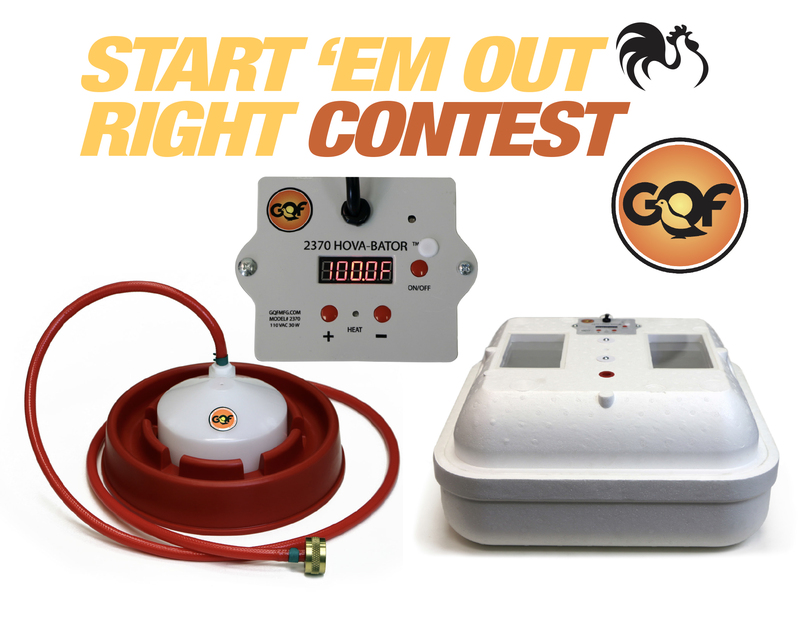 Enter to win this 2370 HovaBator incubator AND the 4007 drinker An $81 value! NEW Electronic Thermostat Hova-Bator with a bright, easy-to-read temperature display with push button controls. Choose Fahrenheit or Celsius, circulated air or still air. Circulated air is preferred for bird eggs for better stability. NEW 9-inch dish drinker with five-foot normal pressure hose and garden hose bib. Can also be used with a gravity flow tank. For all chicks after seven to 10 days of age, as well as for grown birds. Dome unscrews for easy cleaning. GQF Manufacturing Company, experts at breeding technology, supports small poultry breeders by continuously testing, developing, and seeking improvements in game bird and poultry equipment. All you have to do is fill out the form below and tell us in 25 words or less what keeping chickens means to you.